Canada Local Shipping. With software for Windows & Mac. Features:Wireless handheld convenient and portable to use. 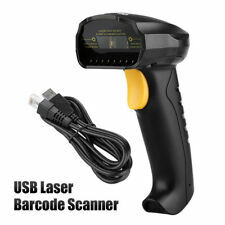 2.4G Wireless Laser Barcode Scanner. Ensures secure and reliable wireless transmission of data. Visible laser 650nm. MSR605X is a new model of magnetic stripe card reader writer. Compared to the classic model MSR605, MSR605X doesn't require an external power adapter. With the friendly software, it can read data from standard magnetic stripe cards, write data to cards, and copy data from one card to another. Smallest Mini Dx3 Minidx3 USB Magnetic Card Reader Small Magnetic Card Reader. Password Protection for user security. Data downloadable to the computer via USB, Bi - Directional, Battery powered and low battery indicated, Read ISO format and other formats. 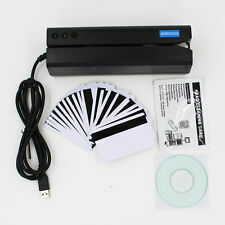 Magnetic Credit Card Reader Writer Encoder. World's Only Bluetooth Magnetic Card Reader / Writer. Portable Magnetic Credit Card Reader (Data Collector). Original Card Device with Full-Version Software. The ACR122U NFC reader is the world’s first NFC reader compliant with the CCID specification. 1 x ACR122U reader. 3 X Mifare IC Card. It's the smallest in the world, lightweight and compact. Put your micro SD into the card slot, inset the micro USB into the smart phone, PAD and then start working. Ethernet cable is not included. Print Speed: Max. -Auto Cutter: 2 million cuts. Print Technology: Thermal. Printer Type: Desktop. Unit are fully tested and in great working condition. -UPC-A/E, CODE 39 / 93 / 128, EAN8 / 13, ITF, CODABAR 2D symbols: PDF417, QR-CODE, MaxiCode, Composite Symbology, GS1-128, GS1 DataBar Omnidirectional / Truncated / Limited / Expanded. Trending at C $150.85eBay determines this price through a machine-learned model of the product's sale prices within the last 90 days. We do not associate Banking Account. You can send and receive all the money without limits. • 16 Digit Virtual Credit Card Number. MSRX6 Smallest USB Magnetic Credit Card Reader Writer 1/4 Size of MSR206 MSR606 MSR605. Magnetic Credit Card Reader Writer Encoder. World Smallest USB Powered Magnetic Card Reader / Writer Encoder. Portable Magnetic Credit Card Reader (Data Collector). Light Source:650nm laser (safe visible light). Mulitple interface, support USB. (standard). Factory direct sale, cheap price and stable scanning. Fast and accurate in reading 1D codes. Anyway we will try our best to avoid this kind of thing. THIS IS THE UPGRADED VERSION OF MSR606. Swipe: Manual, single direction. Functions: Read, Write, Copy, Erase, Compare, Save to File & File to Write. Key Features Cleaning Card. Weight: 2 lbs. We will do everything in our power to make you happy. UeeVii S2 bar code gun is both wired and wireless, dual-mode bar code gun,using high-quality chip, can quickly decode 1D paper bar code. Sent a soft coat, double protection, earthquake and drop. Indication Beeper, LED. Iron storage box with lock is safe and safe. - Removable tray with space underneath. - Nickel plated security cylinder lock. - Useful recessed fold down carrying handle( Nickel plated handle. - Thickening and durable storage box, mini desktop accommodation box, small safe box, goods storage box. ). 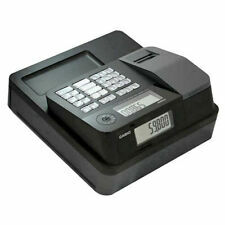 NEW MSR605X Hico Magnetic Strip Credit Card Reader/Writer Encoder. 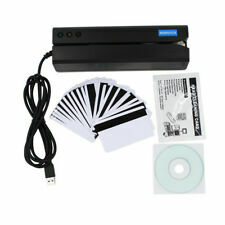 Magnetic Stripe Encoder - 100% MSR206 MSR605 Comaptible. 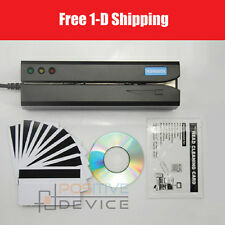 Magnetic Credit Card Reader Writer Encoder. • Manual Swipe to read and/or write card USB output. It's fast enough to printout nearly 6" a second so you can get on to the next person in line. This Star Micronics printer connects to your point of sale computer for easy setup and installation. The printer supports a maximum resolution of 203 dpi to create sharp and legible text. Ingenico Unit. New in Box. Original factory plastic still on front screen. We will take care of any problems that may arise. Trending at C $107.20eBay determines this price through a machine-learned model of the product's sale prices within the last 90 days. Bi-directional swipe reading. 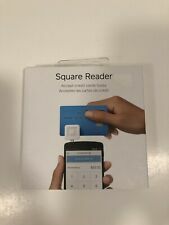 Swipe a magnetic card through the reader. Reads ISO7811, AAMVA, CA DMV & most mag card data formats. Reasonable product design makes products small and compact. Adopting high integrated magnetic card decoding chip. Scanner has been software wiped. Clean install of WM6.1. We stand behind all our products. 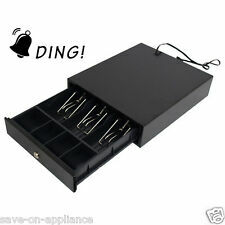 APG Vasario 16" CAD Cash Drawer VB320-BL1616-B5 4bill/8coin "NEW"
Indication Beeper, LED. UeeVii S2 bar code gun is both wired and wireless, dual-mode bar code gun,using high-quality chip, can quickly decode 1D paper bar code. Sent a soft coat, double protection, earthquake and drop. This manual 16" Cash Drawers provide affordable versatility to any POS system. It's designed to withstand the wear and tear of retail and restaurant applications. MMF, CASH DRAWER, MMF-VL1616CE-04, VAL-U LINE, 16W X 16D X 4H, PRINTER DRIVEN, 4 BILL / 8 COIN TILL, BLACK With Universal Printer Interface Kick Out Cable 226-199EPST10-00.